Introducing “Fun Time Bible Stories”. 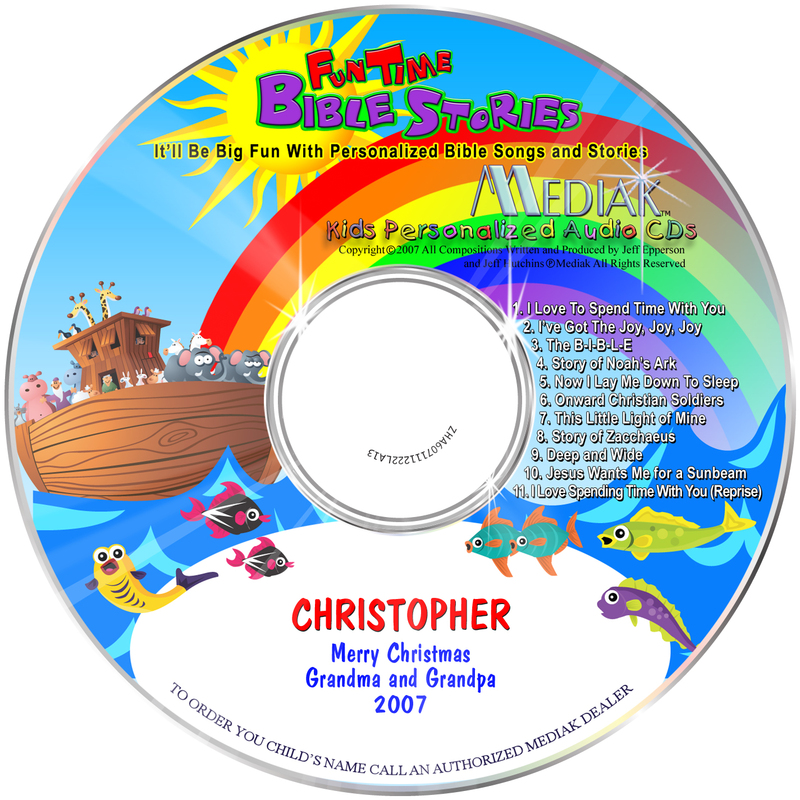 . . an album of 11 classic Bible songs and parables, presented in a captivating story, personalized using the child’s name 55 times. 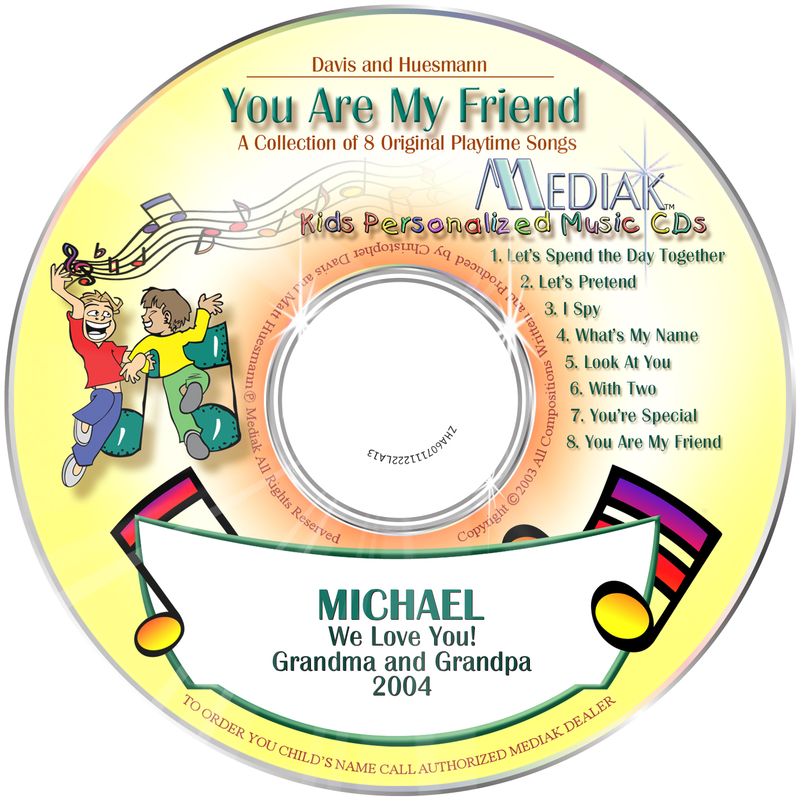 The magnificent performances of these fun-filled songs and parables are sure to provide the child with many days of such fun, it’ll be a favorite thing. 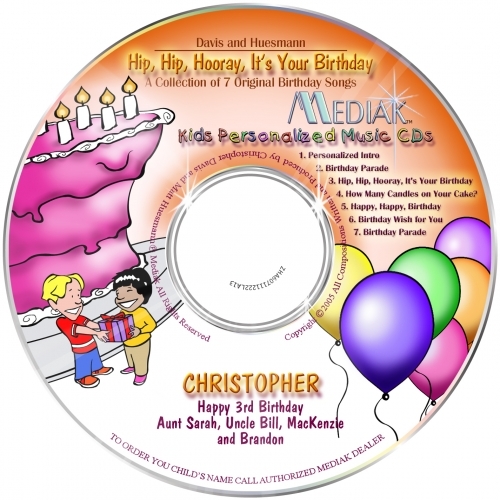 This CD is recommended for children of all ages and a personal message can be printed on the label.